Cockroaches are close relatives of termites and belong to the insect Order Battodea. They represent a primitive and highly successful group of insects whose orgins extend back at least 300 million years. 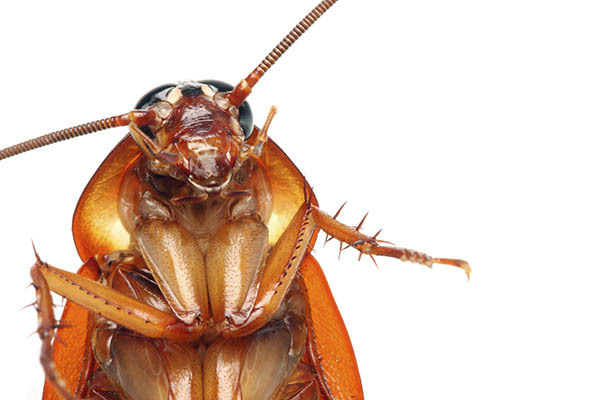 Despite their somewhat misleading common names, most pest cockroaches that occur in Australia originated in tropical or subtropical Africa. Their wide distribution and close association with humans, coupled with the high frequency with which they carry human diseases, in and on their bodies, have given them a very high pest status in most parts of the world. While there are about 3500 species of cockroach worldwide, only about 10 species have seriously exploited the dwellings of humans. German Cockroach – probably the most wide spread and successful cockroach. Adults are light amber-brown with body length of 12-15 mm. American cockroach – probably the largest cockroach that infest dwellings. Adults are red-brown with body length of 35-40 mm. and grows between 30 – 25 mm. and is usually dark brown in colour. Oriental cockroach – An adult Oriental cockroach grows between 20 – 25 mm and is dark brown to black colour. Let's get rid of the cockroaches!